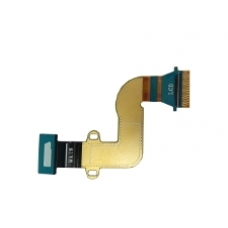 A replacement flexible ribbon connector cable this part links the Galaxy Tab 2 7 LCD screen to the Galaxy Tab 2 7 logic board. This sends data from the digitiser to the logic board, and video to the LCD panel. This cable can easily be damaged when working on the unit. If you experience any screen issues with a known to work screen after removing this cable, it may well be caused by a damaged cable. * Original Galaxy Tab 2 7 Spare Part.